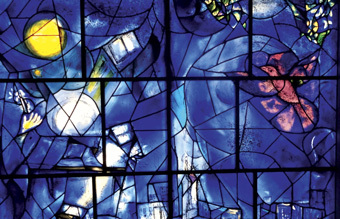 Portion of Chagall's America Windows at the Art Institute of Chicago. If you’ve visited any water cooler frequented by Members of the Tribe lately, the subject of the first day of Chanukah landing on Thanksgiving Day for the first time since 1888—and the last time for another 70,000 years—was bound to come up. The fact that these two beloved holidays are coinciding on Nov. 28 this year is like, well, Christmas in July. There’s something so appropriate about holidays that center around gratitude and light colliding into each other. In honor of giving thanks and the nine lights of Chanukah (including the shamash), I give you nine reasons I’m thankful. What’s your top nine? 1) I’m thankful for…being an American Jewish woman with so many choices and the freedom to be anything I want to be, who is encouraged, not persecuted, for who I am and what I believe. 2) I’m thankful for…my mom and dad, who raised me in a home overflowing with love, who serve as models of Jewish values and love for me to emulate in my life, and who sent me to good schools, Hebrew and secular, in safe learning environments where teachers nourished my potential. 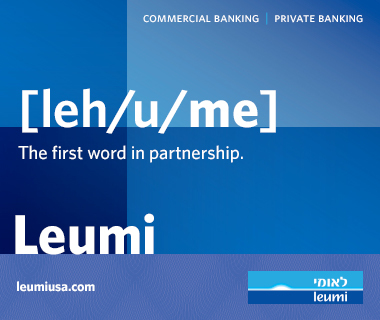 3) I’m thankful for… getting to be a member of this committed, caring, and vibrant Chicago Jewish community. And I’m thankful for being part of an organization, the Jewish United Fund/Jewish Federation of Metropolitan Chicago, which makes it easy for all of us to live generously. 4) I’m thankful for…a circle of incredible friends who know just what any given situation calls for—an ear, a hug, a philosophical discussion, a margarita, a cupcake, or a buddy to watch The Breakfast Club with for the 50th time. 5) I’m thankful for….nephews. I get to witness their amazement in doing the things adults find mundane like riding the El, wandering the cereal aisle, or watching an ant scamper across the sidewalk. And nothing raises my serotonin level more in this world than hearing one of my nephews laugh or the symphony of listening to them laugh in unison. 6) I’m thankful for…Shana. A couple months back I’d been having a bad week, and popped into Target to buy a bunch of items. When I finally reached the front of the checkout, the clerk insisted on closing her line to the other shoppers for half an hour to help me find the best deals she could for the items in my cart using every discount possible. Ultimately, she managed to save me almost $100. But she gave me so much more than money in my wallet; she gave me the gift of her kindness. I glanced at her nametag—Shana. I told Shana, who I’m fairly certain had never heard a Yiddish word before, her name means “beautiful” in Yiddish. 7) I’m thankful for…art in any form. It can inspire you, even change you. The Chagall Windows at the Art Institute. To Kill a Mockingbird. Opening weekend in a crowded movie theater watching a great movie. Listening to a song on the radio that feels like the singer wrote the lyrics just for me because it speaks so exactly to the mood I’m in at that moment. 8) I’m thankful for…finding joy in every season—even winter. Whether we’re toddlers, teens, or—ahem—a little older, let’s jump in the leaves in the fall, make snow angels in the winter, meander through the rain without an umbrella in the spring, and jump in the lake in the summertime. 9) I’m thankful for…believing in beshert, in believing that some of our steps along this crazy, yet beautiful journey in life—who we're meant to become and who we're meant to meet—are out of our hands, preordained by God, a force bigger than all of us.